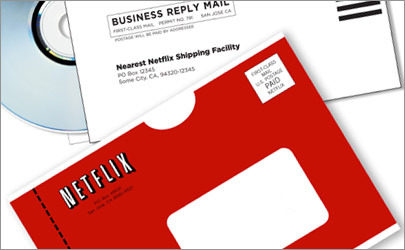 Faced with a potential multimillion-dollar class-action privacy lawsuit for allegedly retaining people's movie rental records, Netflix intends to argue that a portion of the federal video privacy law is unconstitutional. The video rental company said recently that it intends to argue that the Video Privacy Protection Act's damages provision -- which allows consumers to recover $2,500 per violation -- deprives the company of due process of law, and violates the ban on excessive fines. Netflix raised the issue for the first time in its answer to the lawsuit, filed last week in U.S. District Court for the Northern District of California. The litigation against Netflix dates to earlier this year, when a group of consumers sued Netflix for allegedly storing information about their rental histories for at least two years -- even when people cancel their accounts. The federal statute also provides for consumers to receive damages of no less than $2,500. It's unclear whether that's $2,500 per person or per movie record. Either way, the company's total liability could be extraordinarily high, if it has violated the law. While Netflix hasn't yet fleshed out its argument, it will likely contend that the consumers who are suing can't point to any economic injury from Netflix's practices. Therefore, the company will probably argue, the consumers shouldn't be able to recover $2,500 when they have not suffered a tangible loss. Whether the company can prevail on that argument is unclear. But Seattle-based Internet law expert Venkat Balasubramani says that convincing a judge to invalidate a law providing for damages can be a difficult task. “These arguments are tough to win, unless there’s an astronomical award,” he says. So far, no judges appear to have ruled on whether the video privacy law's damages provisions are constitutional. While judges in other contexts -- including copyright infringement lawsuits -- have considered whether statutory damages are lawful, there doesn't appear to be any definitive law on the subject. Netflix also says in its answer that it intends to argue that consumers have no right to sue for violations of the law relating solely to record retention (as opposed to disclosure). But a federal judge in Illinois has already rejected that argument in a similar lawsuit against video rental service Redbox, says Balasubramani.